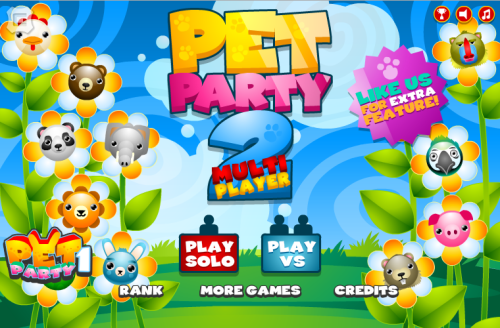 Description Pet Party 2 is a classic match-3 game like Bejeweled. Get combos to clear levels and achieve new symbols. Play in two game mode, multiplier and blitz mode, and earn extra coins to unlock achievements! Discover all bonuses and features, challenging your friends in battle mode!